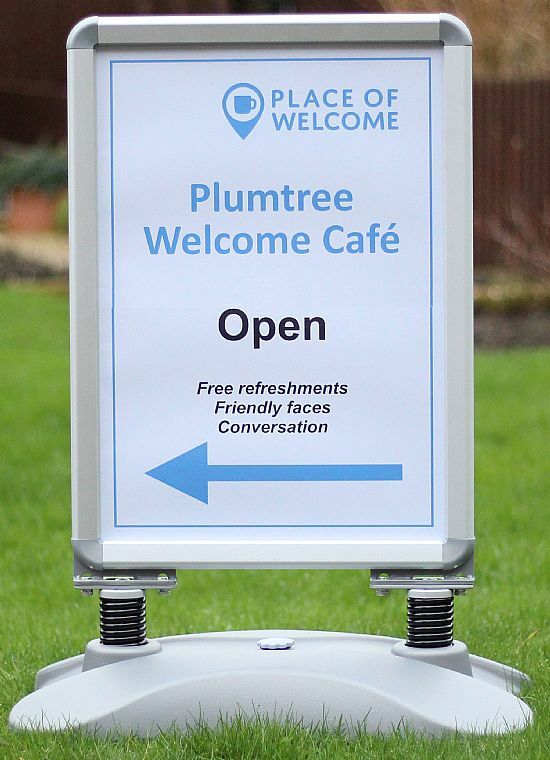 The Plumtree Welcome Café opened its doors for the first time on Thursday February 14th at 2pm. Visitors soon began arriving and many of them were still there when the Café closed two hours later. In all there were more than 20 visitors and three volunteers; many visitors signed up to be volunteers at future sessions. 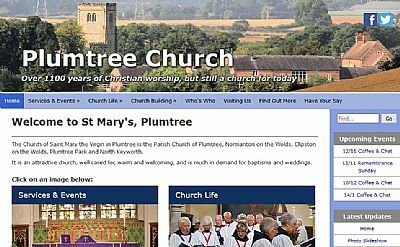 The Plumtree Welcome Café is held in St Mary's Church, Plumtree every Thursday between 2pm and 4pm. It’s staffed by volunteers and aims to provide a venue where people can meet and chat at informal weekly gatherings. The Café isn’t a club, there's no membership and it's open to everyone, no matter what your circumstances. What's more, it's free and there will be tea, coffee and biscuits. So why not come along to see what it's all about. You're welcome to stay for the full two hours, or just drop in for 10 minutes. You can visit every week, or just when its convenient for you. 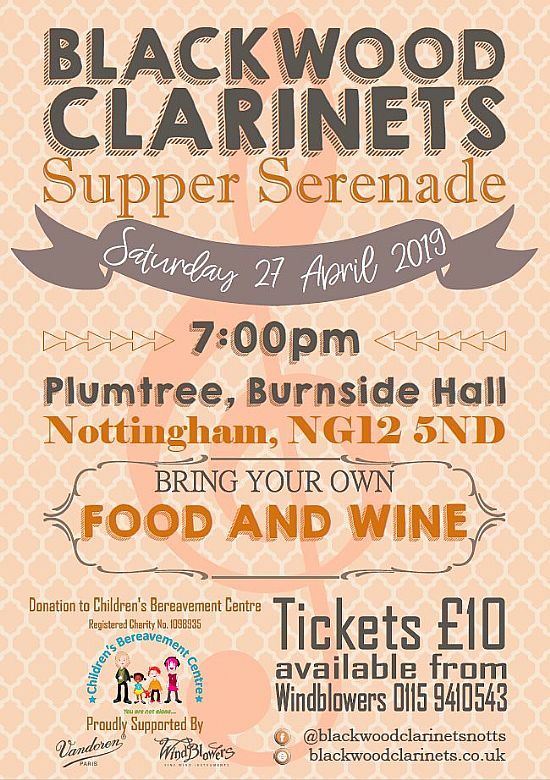 Note that, although the Café is held in Plumtree church, it’s run independently of the church and it aims to serve all members of the local community. 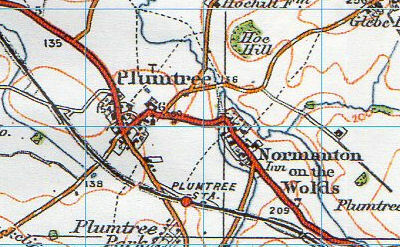 Plumtree is a small village with a population of around 200, located 5 miles (8 km) south-east of Nottingham, just off the A606 between Tollerton and Keyworth. Its population has remained fairly constant during its transition from an agricultural village to a residential one. It features a thriving church dedicated to St Mary; a popular village hall; a pub called The Griffin Inn (which is currently closed for refurbishment and will, hopefully, re-open again in 2019); a premier league cricket team; and the award-winning Perkins Bar & Bistro and Carriage Hall. to describe local amenities for people visiting the area or thinking of moving to the village. 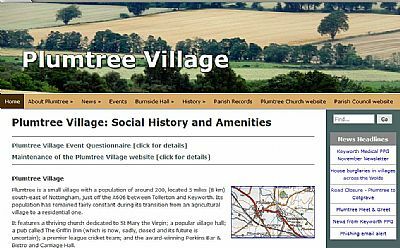 It is complementary to the Plumtree Church and Plumtree Parish Council websites, see below. 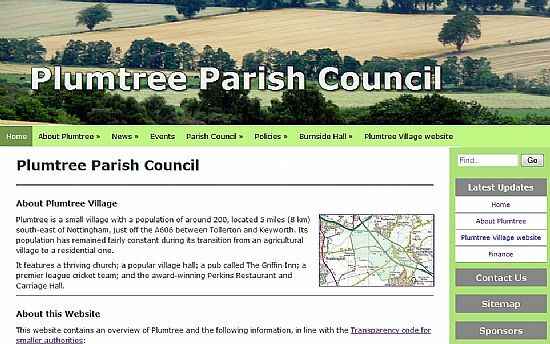 full details of Parish Council finance and governance.